Get ready for December Events! Our Events for December are coming up quickly, don’t forget to mark your calendar! We will be sending out letters for our Annual Fundraising Drive soon. If you don’t receive a letter, or prefer to have other donation option, you can click HERE. All donations are tax deductible, and make our programs possible! We have had astounding growth in the last year, including a dramatic increase in youth education programs. Your donations help to change the lives of children in the greater Claremont area, by providing them with instruments, access to instruction, and inspiring performances. Thank you for your support! 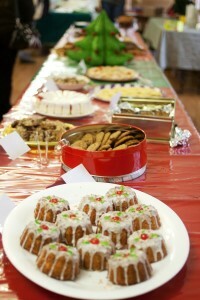 This entry was posted in Bake Sale or Cookie Walk, Baking Competition, Fundraiser, Music, News by melissa. Bookmark the permalink.